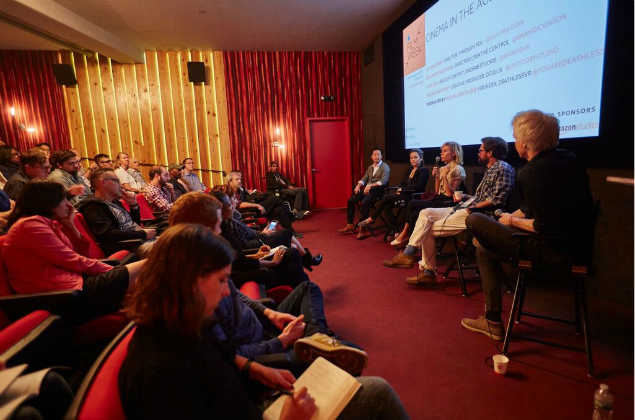 Storycode, KitSplit, and Made in NY Media Center by IFP invite you to attend the second annual VR Pitchfest! Come hear five fantastic pitches of VR projects at all stages of development, and connect with the movers and shakers, the decision makers and funders of Virtual Reality. The pitches will be judged based on their story concepts and being able to show WHY this story needs to be told in VR. The event will take place at Made in NY Media Center by IFP at 7pm on Wednesday, March 1st, 2017 followed by a networking reception for judges/panelists, audience members and participants. We will also have live demos from VR Bar as well as other creators. If you have any questions please email amalarkey (at) nymediacenter (dot) com or kris (at) kitsplit (dot) com.